Casey has been with us for a year and a half, we wondered if we would ever find a family we felt could give Casey all the love she deserved. 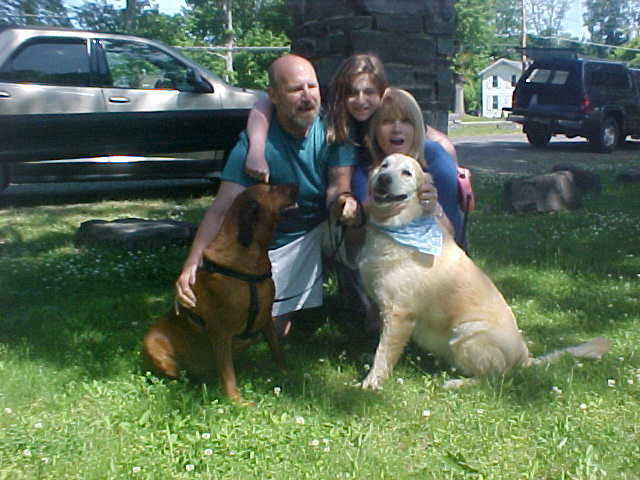 Enter the perfect family Dad Joel, Mom Karen, Sister Carly and Fur sister Daphane. What a great family for Casey with tons of love to give her. Casey wasn’t sure about Daphane at first but was ready to plant kisses on everyone else. Casey had no problem jumping in the back of the truck when it was time to go. We are sure Casey will do very well with her new family.